A second session on Fingringhoe Wick: June this afternoon, which I started at the weekend. This is a scene along the ‘Dog walk’ path, looking down over the fields towards the marsh and the mouth of the Colne estuary. 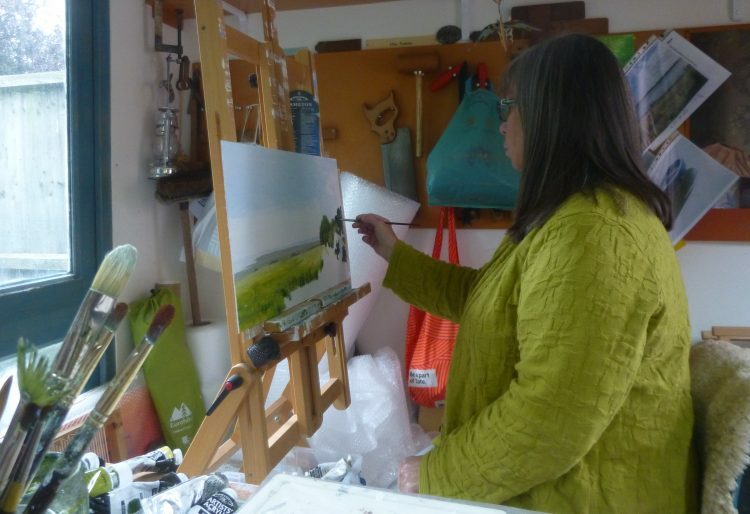 There is going to be a big tree on the right hand side of the painting – which may appear tomorrow!